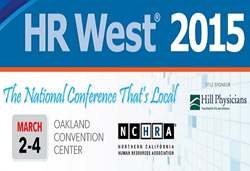 Northern California Human Resources Association (NCHRA) will host the 31st annual HR West conference, the West Coast’s premier conference for HR professionals, at the Oakland Convention Center on March 2-4, 2015. HR University will open the three day event on March 2nd at 9a.m. HR West is the best value in the country. No other conference offers the same high-quality education at such a low price point. The Northern California HR Association (NCHRA) is in the final month of preparation of its annual HR West Conference, on March 2-4, 2015 at the Oakland Convention Center. Since 1984, NCHRA has hosted the largest West Coast gathering of the HR community and this year promises to be one of its most engaging events to date with over two days of unparalleled learning, exceptional networking opportunities and more than 80 educational sessions covering all facets of the human resources industry. The Bay Area, as well as many human resources professionals, joined together in the spirit of collaboration and success to plan the very first HR West Annual Conference. Today’s problems are not only as complex as ever, they continue to exist in the context of the volatile economic environments. In a fluid business environment, leading HR practitioners want to position their organizations, and the people who comprise them, to succeed, whether because of or in spite of external pressures. Throughout the years, the hundreds of exceptional HR leaders who’ve attend HR West are dedicated to continual learning. Through this kind of consistent education and training, they are able to effectively design and execute strategies that positively impact hundreds of thousands of Bay Area citizens in the workplace and beyond. This year, the conference’s HR University, which is traditionally offered on the first day of the conference, March 2nd from 9 a.m. to 4pm will be presented by Laura Kray, Ph.D., Professor and Chair of Leadership, UC Berkeley Haas School of Business. The Mind of a Leader: Creating Optimal Teams will be a highly interactive session designed specifically for executives. HR University participants will learn to unlock the potential in optimally created work groups through experiential exercises. Based on Professor Kray’s original research in this area, and her work with executive teams at companies such as StubHub, Intel, Adobe and Google, executives will dive deep into their own leadership mindset and establish tools for accelerating team dynamics. All participants will also receive a complimentary copy of "Mindset" by Carol Dweck. HR University qualifies for SHRM Professional Development Credits (PDCs) and HRCI Recertification Credits.) Visit: http://hrwest.org/live/hr-university to register. HR West attendees will gain real strategies and techniques to improve the workplace immediately. Full conference attendees can earn up to 16.75 credits. Visit http://www.hrwest.org for more on the event or to register. New! 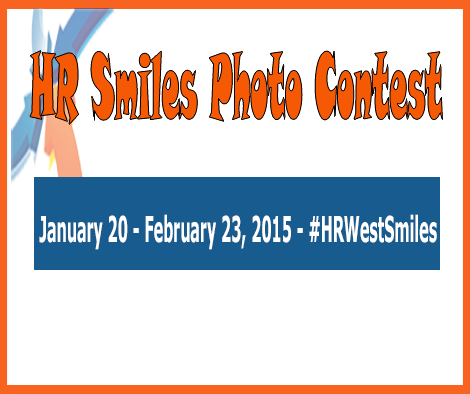 To commemorate NCHRA’s biggest educational event of the year and to further expand its social media presence, the HR West committee has launched the 1st annual HR Smiles Photo Contest (#HRWestSmiles). HR practitioners are encouraged to participate to not only increase awareness about HR West, but also expand their own corporate digital media presence and the importance of a successful and engaging organizational HR team. Exciting prizes will be awarded to the top three participants who get the most retweets, shares, likes and comments. For information on how to enter visit: http://hrwest.org/HRSmilesContest. About NCHRA - The Northern California HR Association has been advancing organizations through human resources since 1960. 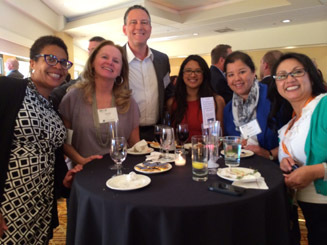 We are dedicated to connecting human resources professionals with practice resources, leading California-specific training, legal and legislative developments, quality service providers, and each other-- forming career-long networks and partnerships. For more information, visit http://www.nchra.org.